With the custom solution developed by WIGeoGIS, the Austrian Lotteries can quickly and precisely analyze the potential of new locations. The numerous existing acceptance points are managed in the system. When planning new locations, sales partners already located in the catchment area can be taken into account quickly and easily. The gambling company “Austrian Lotteries” relies on the geo-marketing solution from WIGeoGIS to analyze, evaluate and manage new and existing sales partners. “6 out of 45”, Bingo, Brieflos and various scratchers are some of the products that the company offers adults with an interest in gambling. Approximately 7,000 sales partners such as tobacco shops, post offices, chain stores and gas stations sell the company’s products. The Austrian Lotteries rely on a system based on ArcGIS in order to optimally plan locations throughout Austria. The connection with the internal database makes it possible to visualize the individual points of sale as points on the WIGeoMap and to provide them with company codes. The application automatically uploads all existing locations to ArcGIS. In addition, the locations are classified according to different types. A potentially new sales partner can be entered either by clicking on the map or by entering the address. To qualitatively verify the address, the application is supported on the backend by the JoinAdress software, which uses the web to access the addresses and coordinates of the data product Data.Geo. After entering a new location, the application displays already existing partners in the immediate vicinity, which can then be taken into account in the location planning. Now the Austrian Lotteries can immediately calculate a catchment area. The radius around the location can be selected freely, allowing different sized areas to be easily defined. It is also possible to view photos from the database for each POS. This provides users with an additional visual assessment of the location. Finally, the results of the location analysis are automatically compiled together with all the internal data into a meaningful Excel report. The report contains information about the surrounding POS as well as geographic data. In order to perform a complete analysis of the potential location, the report can be expanded to include demographic data. 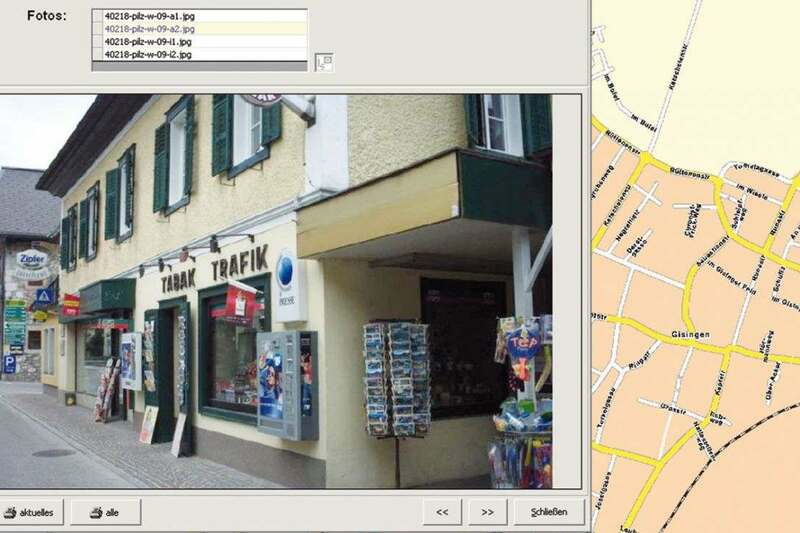 The software from WIGeoGIS provides a comprehensive solution for the Austrian Lotteries when it comes to location planning. The ArcView extension was customized to meet the needs of the Austrian Lotteries. By integrating several steps, the company saves time planning their locations. At the push of a button, the company receives a meaningful, standardized report that helps them make informed decisions when planning their new locations.